If you’re looking for a place to vacation in California, head to Orange County whether it’s on train, plane or limo where you’ll find some great spring vacation destinations. Whether you enjoy excitement and adventure or romance and relaxation, Orange County has it all. Take a look at five destinations that should top your list. One of the top family spring vacation destinations in Orange County is Disneyland Resort. It’s a favorite destination for families with kids and adults of all ages. You can spend the entire day at the Anaheim theme park where you’ll find thrills and adventure. Meet all of the adorable Disney characters, cruise through exotic jungles, sail the seas with pirates, and soar to new heights. Disneyland offers thrilling rides, interactive adventures, outdoor stage shows, and lots of great food and entertainment. Situated in a beautiful park setting with three top hotels and non-stop fun, Disneyland is one destination you simply can’t miss! Located in Buena Park, Knott’s Berry Farm offers five different theme areas with great rides, attractions and interactive shows. You can stroll through Old West Ghost Town where you may meet some spooky guests or visit Camp Snoopy to meet Peanuts and the gang. Enjoy great food and spend a relaxing day in a family-friendly park setting. If you’re up for some bigger thrills, head over to Knotts Soak City Water Park, adjacent to Knotts Berry Farm. It’s a 13-acre water park that includes a wave pool, lazy river and 17 different tube slides. For a real thrill, take a ride on he Pacific Spin that drops you into a 75-foot, six-story funnel. This ride is not for the faint of heart, but it’s certainly a ride you’ll remember! 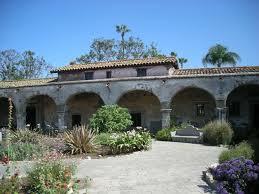 San Juan Capistrano is a beautiful Orange County destination with clear blue skies and tropical breezes. Situated in the center of this lovely city, you’ll find one of California’s oldest missions founded in 1776. It’s located on a beautiful 10-acre site that includes a picturesque central courtyard, gorgeous gardens, and exhibits that recreate California’s Spanish history in its early days. Serra Chapel, dedicated to Father Serra, is the only remaining church where Father Serra held mass. The ruins of this old stone church are located within the Mission walls, adding a piece of important history to the quaint seaside community of San Juan Capistrano. A visit to the Mission and downtown San Juan Capistrano offers a lovely, relaxing day in the perfect California setting. Experience a fun-filled day in Newport Beach where you can enjoy whale watching. Newport Landing offers daily whale watching trips in the warm waters off the Newport coast. Spring is the perfect time of year to see hundreds of whales that migrate each year to the warm waters along the Laguna Beach coastline just minutes from Newport Harbor. You’re sure to see grey whales, finback whales, blue whales, and even killer whales in their natural habitat. Traveling with the whales, you’ll spot large pods of dolphin, seals and sharks looking for a friendly meal. For an ocean outing that gets you in touch with nature, head to Newport Landing and join one of the daily whale watching cruises that’s sure to be a memorable adventure for the entire family. The Aquarium of the Pacific in Long Beach offers visitors a journey through the coastal waters of the Pacific Ocean. You can explore exhibits and water adventures along the sunny Southern California and Baja Coast, the beautiful, colorful reefs of tropical Pacific waters, and marine life in the cold, icy waters of the Northern Pacific. At the Aquarium, you can have a face-to-face encounter and touch sharks in the Shark Lagoon or stroll through the outdoor areas where you can hand feed friendly lorikeets, small birds that resemble colorful parakeets. Spring is a great time to visit the Aquarium of the Pacific for a fun-filled day that’s entertaining and educational for the entire family.